This was our second stay at this park. The park is split into two parts: one on the side of the river and one on the South side of Bandera Highway. Check-in is at the office on the river side entrance. Both times we stayed on the larger part of the park, South of the highway. They have a great trail system here, and it was recently expanded. You can hike for several miles here and never leave the park. We will stay here again. 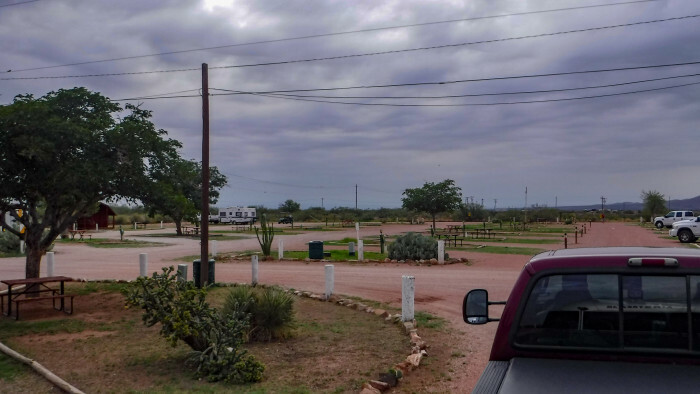 We camped at Kerrville-Schreiner Park in a Travel Trailer. Conveniently close to the University and the City of Kerrville. Good hiking trails within the park. We were very pleased with our one night stay here. The staff were friendly and accommodating. Our site was pre-assigned before our arrival, but the staff were able to move us to another site that suited our needs better. Easy access from Highway 90. In our spot, we had good WiFi outside the camper. All hook-ups worked fine with no issues. We were only here in the evening hours, so the lack of shade did not bother us. The only reason for 4-stars instead of 5 was our cost. We learned a valuable lesson about booking. Always call the park direct to book your reservation. We incurred a 39.6% upcharge booking online using RoverPass and did not get a Good Sam discount. 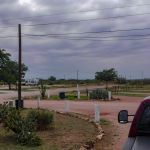 We camped at Van Horn RV Park (formerly Van Horn KOA) in a Travel Trailer. Fuel is nearby at the I-10 frontage road a few blocks away. No groceries nearby that we could find.